The Bible is a book that was written during a long time span (16 centuries) by some 40 writers of different age, with different education and world view; they came from different social classes. And yet, as Christians we profess that the Bible is a unified whole and that it is unique in its oneness. Despite controversies regarding some books, the Bible soon has been accepted in the form as we know it today. What do all these books have in common? And why have been chosen just these documents, although there was a large quantity of ”religious literature” that emerged throughout the centuries? Why the Apocrypha have been denied, although they seem valuable at the first sight? In what does the uniformity of the Bible consist? It consists in the fact that the authors of the Bible were inspired by the Holy Spirit, and they consequently made decisions, acted and spoke according to different laws than people usually did. Their lives were attached to something beyond, something above them. They did not seek their own fortune, they did not carry out their own plans, but they were advocates of the truth, the truth that was not of this world. In the Bible everything points to God. Not a human being, but God, the Lord of heaven and earth stands in the center. He acts. He created this world and still maintains it, he created the man and cares for him. Although the man, when he sinned, went far from God, He leads the man back unto Him. He warns us and He sustains us. His desire for us is that we have peace, not pain. When the fullness of the time had come, because of His love for us, He came as Jesus Christ to this world to rescue man and offer him eternal life. Therefore, when a man reads the Bible, he is concerned and disconcerted, because he discovers a new world. He is getting to know God as he listens to what God says to him. God sometimes spoke to people plainly. Sometimes, He spoke through angels, and other times, He gave visions to prophets. The vision is a particular state of body and mind, in which a man senses the message from God. Prophets, often, did not understand the meaning of the message, that God conveyed them. Other times they used their own words to describe what they saw. We are talking about inspiration, inspiration of the Holy Spirit. God conveyed His message to people so that they passed it to their contemporaries and recorded it for future generations. Christians believe that the Bible is really God's word, God’s book, written by men inspired by God. God gave them freedom to choose words and means of description of the vision. Isn’t it amazing that the great God illustrated it through words and images we can comprehend, and He rather lets everything to be described in human words? Except a few places, where He speaks directly, God lets the writers of the Bible to express everything in their own words. God did not inspire the words and phrases, but their writers. 2nd Peter 1:20-21 - Knowing this first, that no prophecy of the scripture is of any private interpretation. For the prophecy came not in old time by the will of man: but holy men of God spake as they were moved by the Holy Ghost. Archaeologist Carter, who wanted to discover the tomb of the King Tutankhamun, first had to remove a pile of dirt heaped up by workers of other expeditions. It is similar with faith in God and with the Bible. People heaped up a pile of prejudices, incredulity and derision on the Bible. Before we begin to study the Bible, we must get rid of prejudices. Only then, we can find moral values and the message of God's love. One of the prejudices against the Bible is that it was written by men and yet both the Bible itself and the Christians claim it to be the Word of God. The Bible writers were inspired by the Holy Spirit, and often wrote about matters, which they could not know at that time because their veracity has been proven by scientific discoveries only in the 20th century. Another prejudice is that the Bible does not stand a critical test of the reason. It claims that the Bible is there only for impaired and uneducated people, and that it cannot withstand careful scrutiny. Supposedly, it requires only a limited faith, without employing reason. That is not true! God invites us to assess the evidence presented in the Bible. Acts 17:11 - We are to imitate the example of inhabitants of Berea, who, after hearing Paul's sermons "searched the scriptures daily, whether those things were so." There are many prominent people who studied the Bible and, while studying, they found God. For example, Lew Wallace, a famous American general, diplomat and literature genius, was a known atheist. 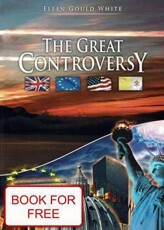 In the most important libraries in Europe and America, he tried to gather information that he wanted to use to write a book that would destroy Christianity forever. While writing the second chapter, he suddenly found himself on his knees crying out to Jesus: “My Lord, my God!” Because he discovered serious and indisputable evidence for it, he could no longer refuse to acknowledge that Jesus Christ was the Son of God. Alessandro Volta (1745-1827) - electro physicist and inventor: "I put the fundamental truths of faith to a thorough test. And I concluded and found evidence, which makes religion trustworthy also for scientists. God, may this confession of mine bear abundant fruit! Sir John Ambrose Fleming (1849-1945) - physicist and radio technician, one of the fathers of modern radio. "Many of the modern discoveries completely destroyed the old materialism. Now, universe appears to our eyes, as a real grand plan. However, a plan requires a planner." "The origin of man can be found only in the creative power of a personal God." " Resurrection of the body of Christ is one of the best proven events in the history of mankind .."
Another prejudice states that science has rebutted the Biblical message. Scientific research of the 20th century proves the veracity of many biblical statements. There are many examples and we will mention one of them that concerns the medicine. It was not until late last century, when physicians discovered bacteria and viruses as pathogens and understood the ways of disease transmission. However, Moses knew effective ways of protection against infection, and rules of basic hygiene and quarantine as early as in the 15th century B.C., although large nations in neighborhood such as Egypt did not know it. God told him to separate the sick, to live outside the camp. People who took care of them should have a veil over their face. When they touched someone with leprosy or a dead person, they had to bath in running water and wash their clothes. Where did Moses acquire such knowledge and experience? It was God who conveyed him this knowledge because he wanted people to be healthy and happy. Another bias is that biblical prophecies are too vague. That's not true! There are many prophecies in the Bible that are fulfilling or had been fulfilled literally. Some of them determine the exact year, when the event should take place. There are exact names of cities and rulers mentioned centuries before. Over 300 prophecies foretold Messiah's advent, life, death and resurrection. These prophecies fulfilled in every detail. All the Biblical prophecies fulfill because they are prophecies coming from God. And this makes them different from false prophecies, where something fulfills and something else not. We shall gradually go through them in other articles in the category dealing with Biblical prophets and the prophets of today. Another prejudice is the claim that the Bible has been altered over the centuries and does not correspond to the original anymore. This statement is disproved by amazing archaeological findings – the Dead Sea Scrolls found in a cave by the Dead Sea in Qumran. For example, the Isaiah-scroll is dated to 150 B.C. Other books found are the book of Samuel, Psalms, Gospel of John and others. Experts affirm that in the texts, no important concept concerning neither the faith nor moral commitment has been changed. No other ancient literature is supported by so many reliable texts and translations as the Bible is. We have a wealth of evidence of trustworthiness of the Bible. Let us study the Bible and we will find God. 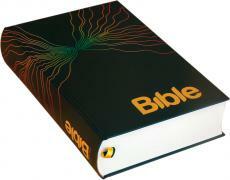 AmazingHope.net - Bible, the God's Word - Why Can We Trust It?